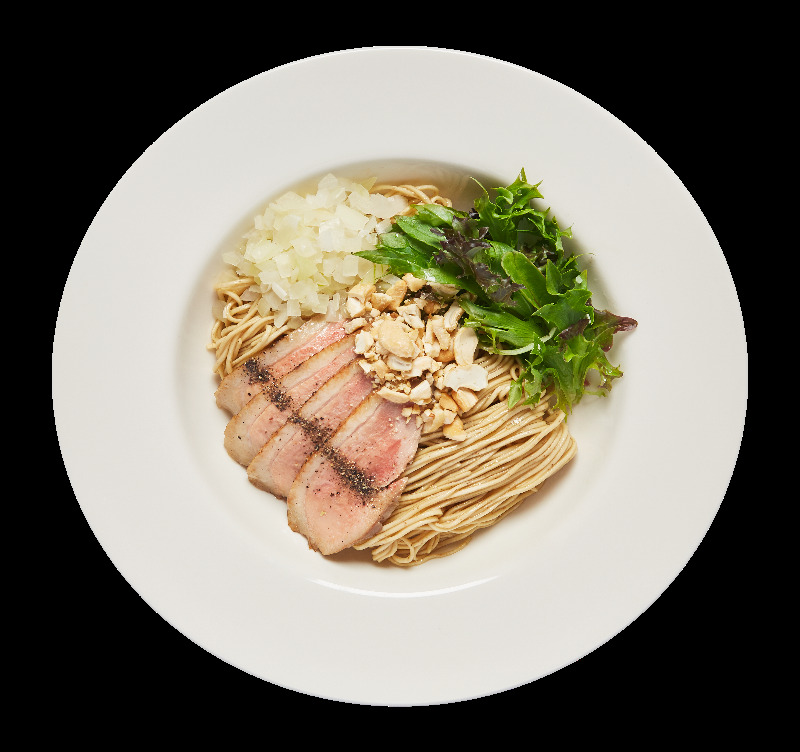 Driven by his ambitious desire to create truly original flavours, Chef Yuki Onishi sought to redefine the classic Ramen experience; without any artificial components or MSG. 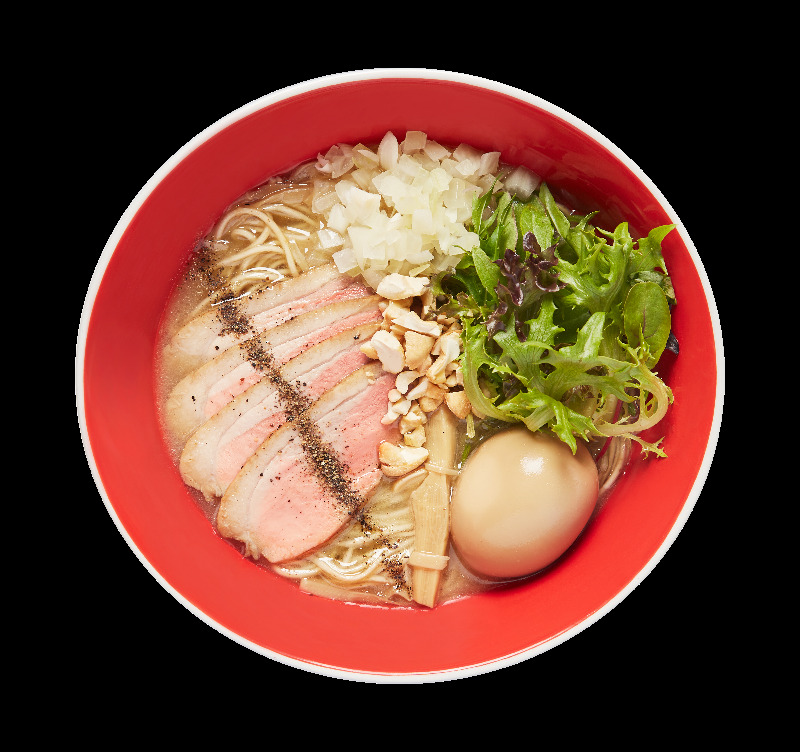 Taking creative inspiration from premium, natural ingredients, he created the World’s First Michelin-starred Ramen eatery – Tsuta. 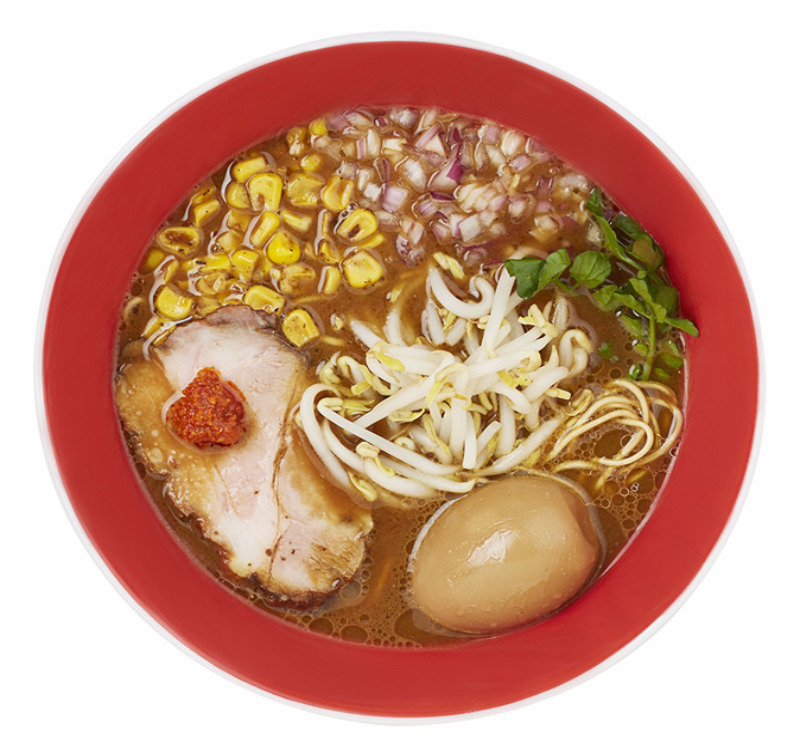 A great deal of effort goes into engineering a bowl of Tsuta ramen. 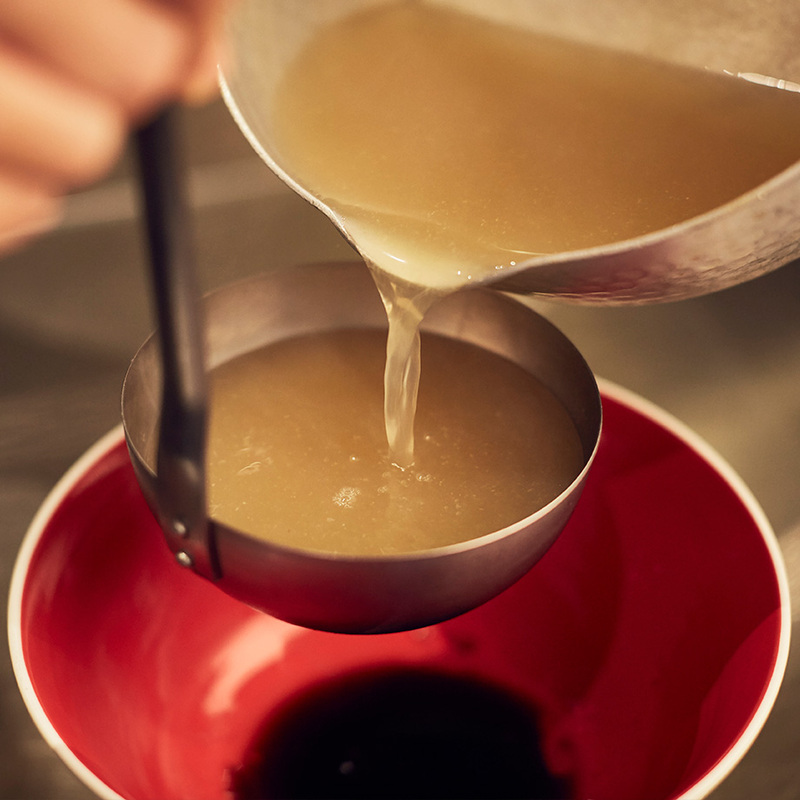 A combination of Chef Yuki Onishi’s unique Dashi ("Soup Broth"), oils and sauces come together to create a delicate, multi-layered umami flavour burst. 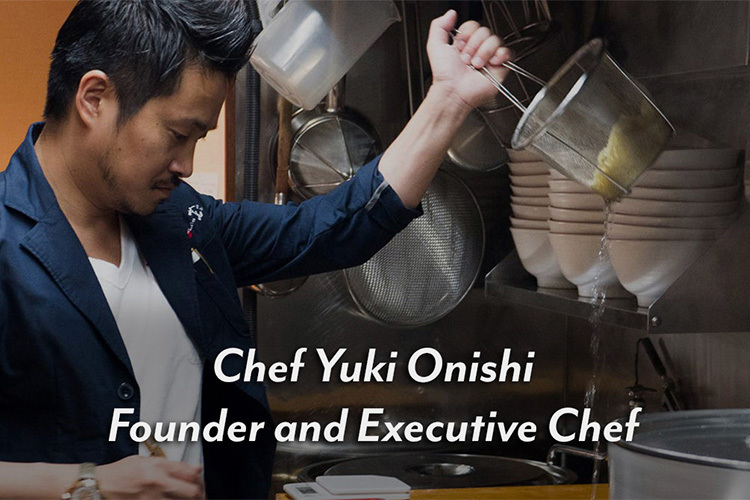 Chef Yuki Onishi never believes in shortcuts. With meticulous culinary techniques and premium sourced ingredients, he creates savoury, inventive flavours that need no MSG or artificial flavouring. The taste and texture of each dish are constantly fine-tuned and revised by the chef himself. 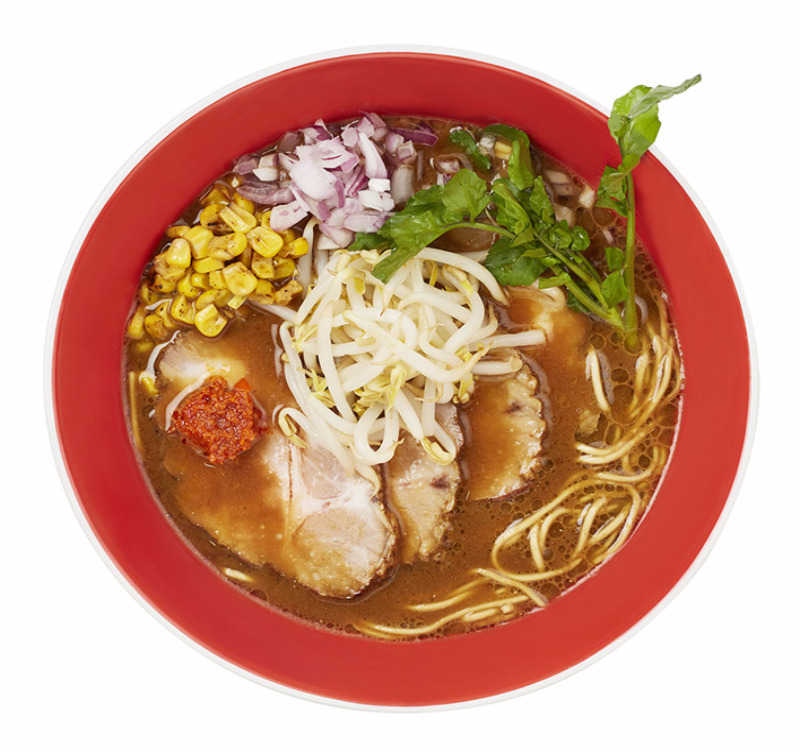 There is no perfect bowl of ramen. Only a delicacy that’s constantly more delicious than before. 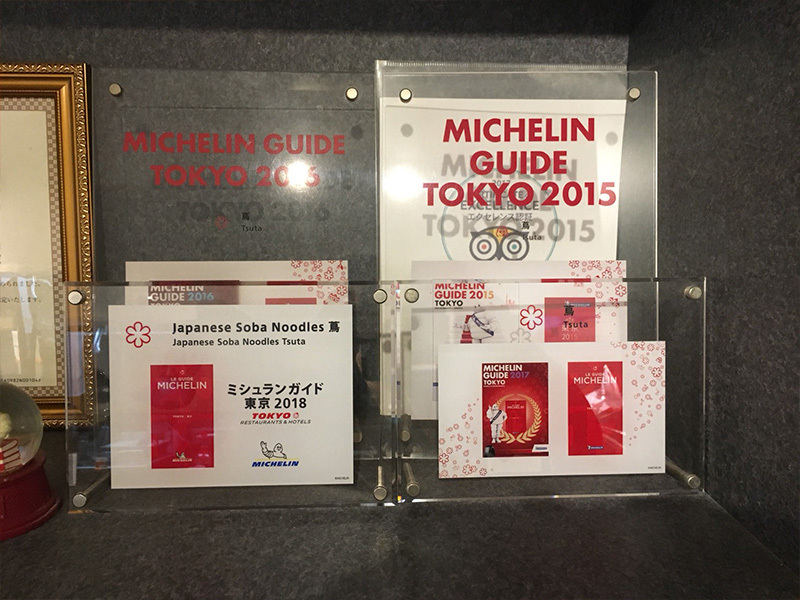 Chef Yuki Onishi came from a family of ramen chefs. 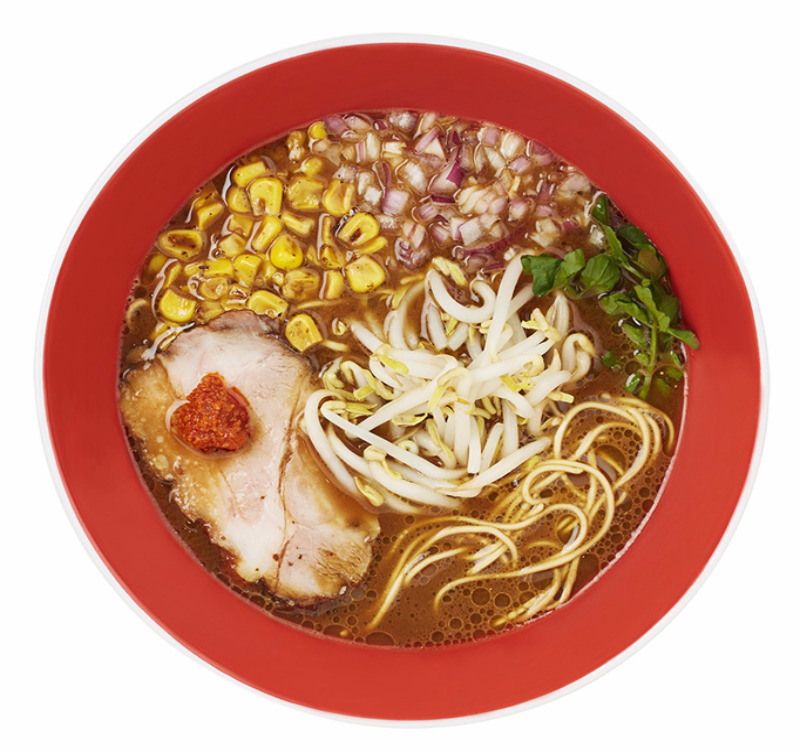 His father owned a ramen shop called ‘Nanae no Aji no mise, Mejiro’. While Chef Yuki Onishi did apprentice for his father after high school, he felt that he wanted more worldly exposure. He left the shop for the luxurious world of fashion where he became a merchandiser. It was during his travels where he found a shocking contrast in food culture. 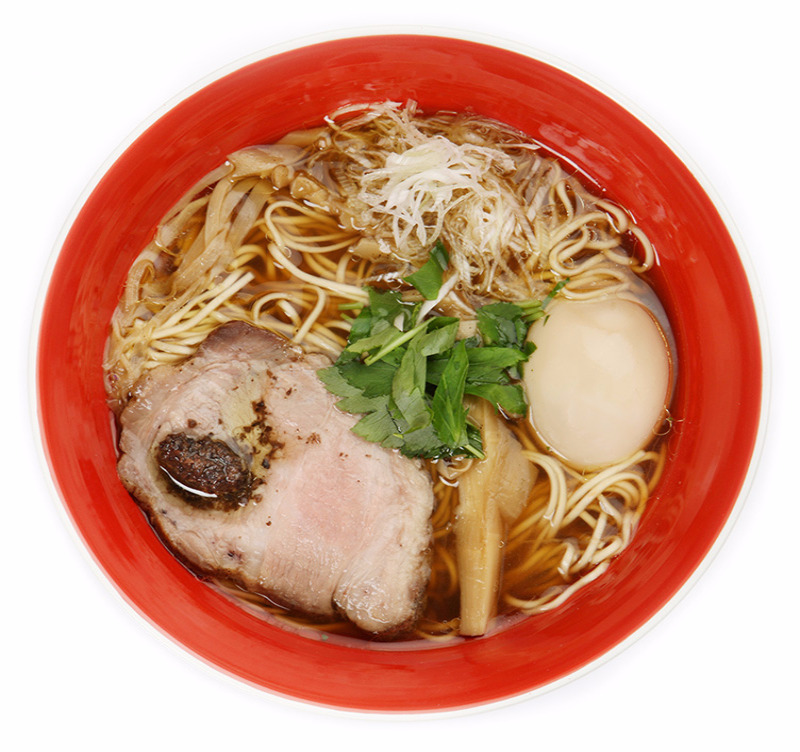 Foreign dishes were often paired with sauces while in Japan, there is a strong culture of using dashi (soup stock) and a strong focus on umami. Inspired by this epiphany, he returned to the kitchen of his fathers’ ramen shop. 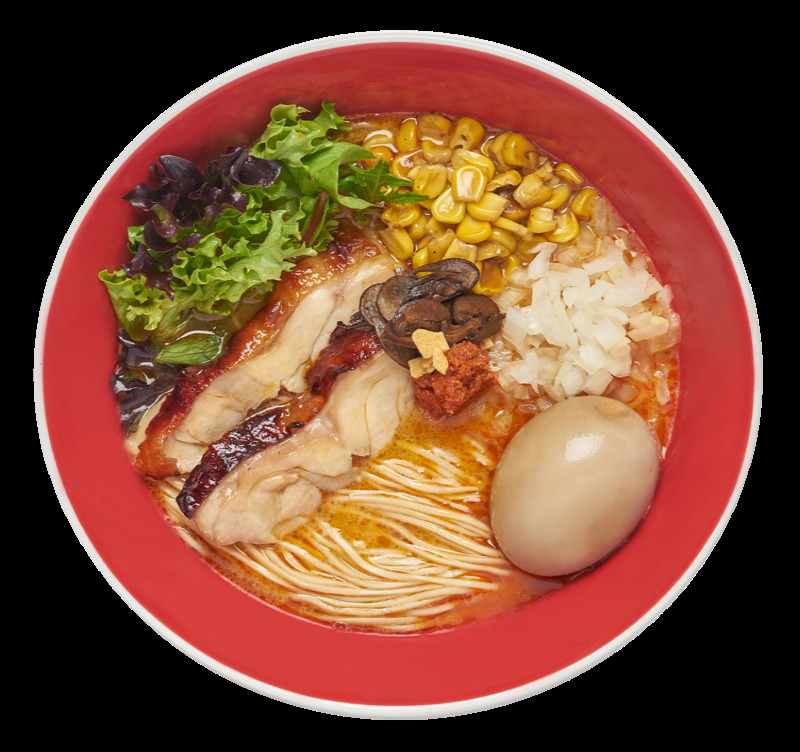 Following his predecessor’s philosophy of only using natural ingredients, Chef Yuki Onishi eventually developed his own original ramen dishes. 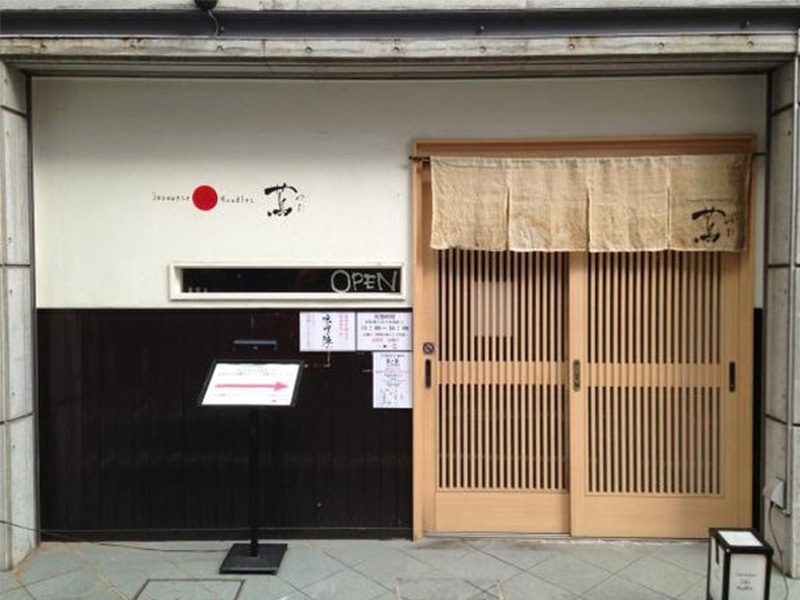 He opened a small 9-seater shop in Sugamo, Tokyo; called “Japanese Soba Noodles Tsuta” in 2012. 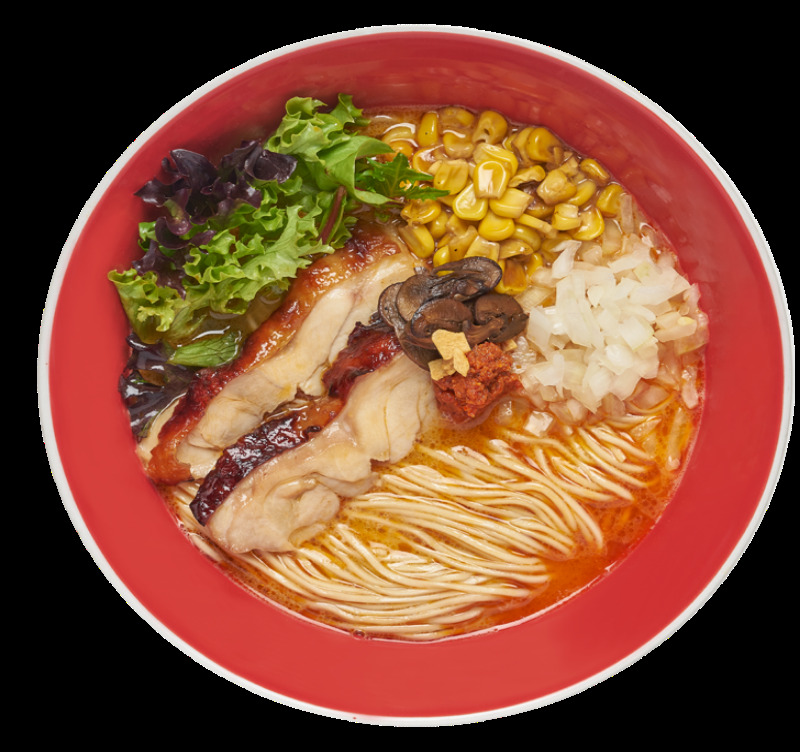 The name of the shop originates from Chef Yuki Onishi’s dream of nurturing ramen into a noodle dish that Japan will boast. 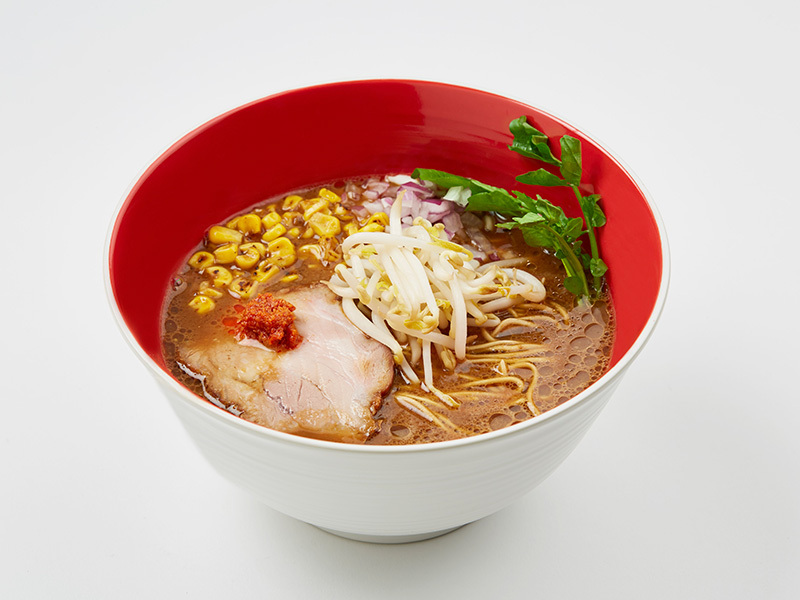 2013 - Top ranking for new shops in the industry's annual TRY ('Tokyo Ramen of the Year') publication. 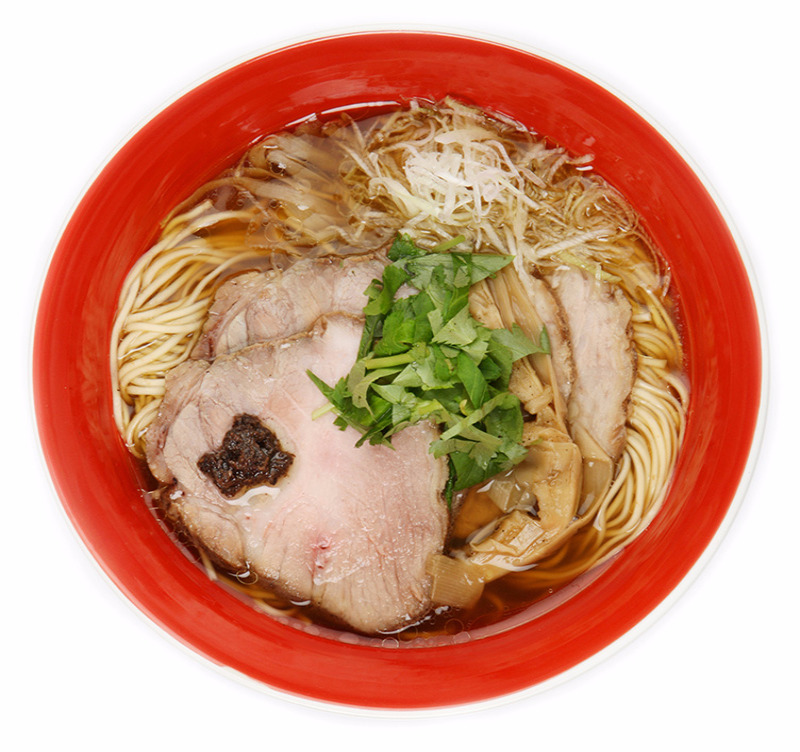 2016 - Ramen Walker Tokyo District 23 No.1. Nationwide No. 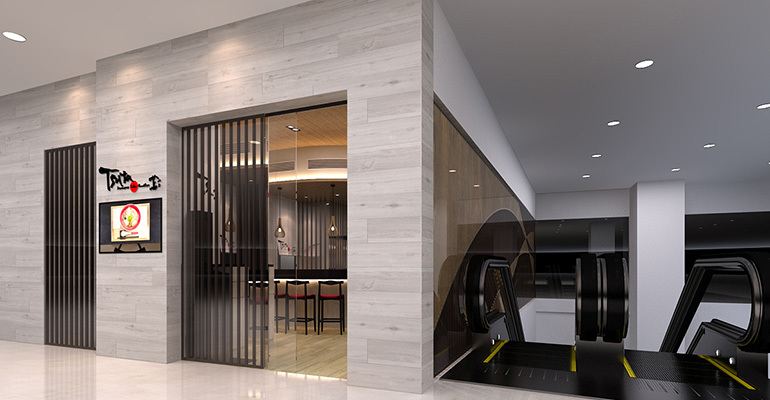 The MICHELIN guide Insider Series: Tsuta Ramen To Open In Singapore. 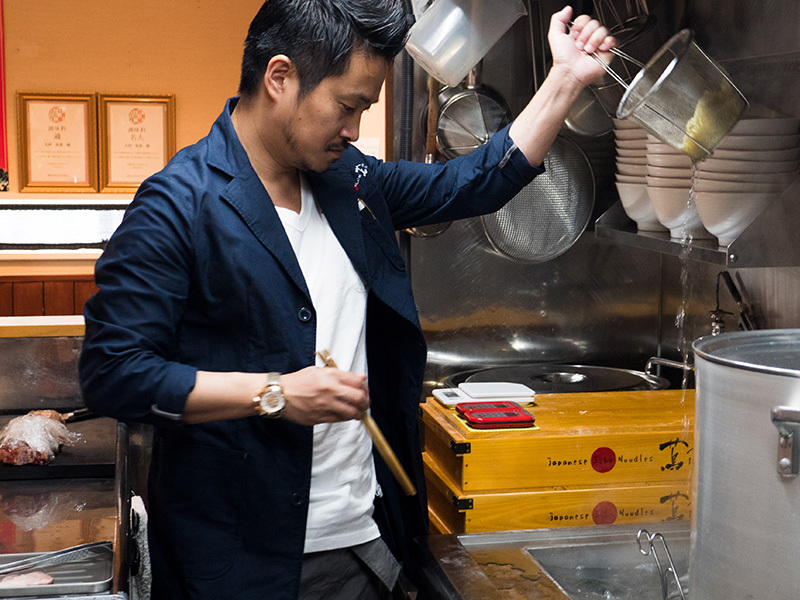 Chef Yuki Onishi has always been bent on creating original flavour profiles. 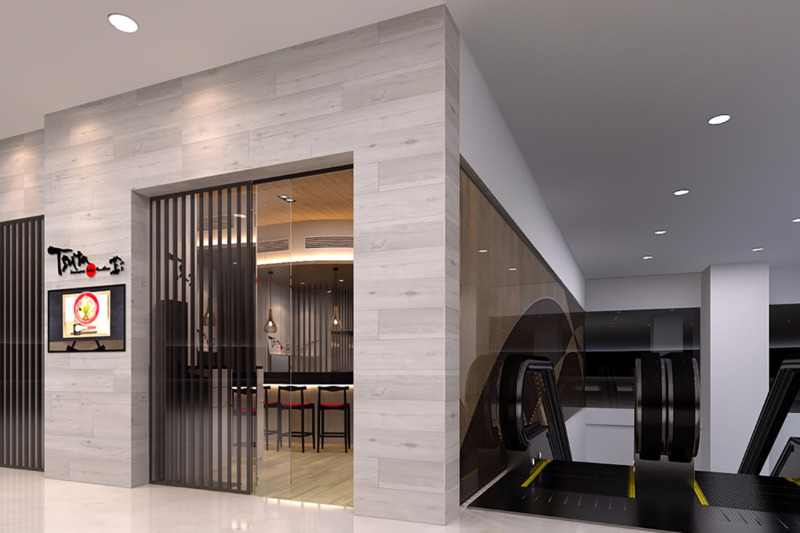 Everything completely conceptualised by Chef Yuki Onishi with a strict adherence to natural ingredients. Months of research and experimentation come before each master creation is conceived. 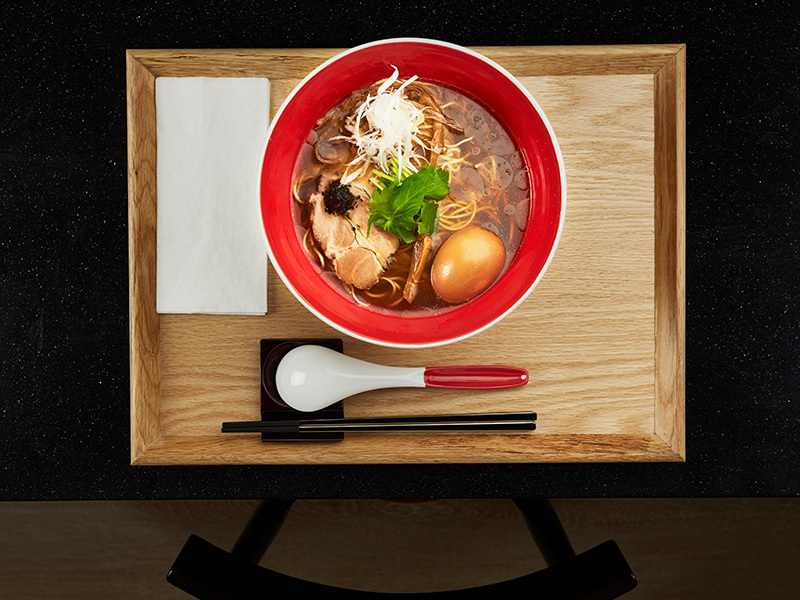 Every bowl is the heart and soul of Chef Yuki Onishi vision. 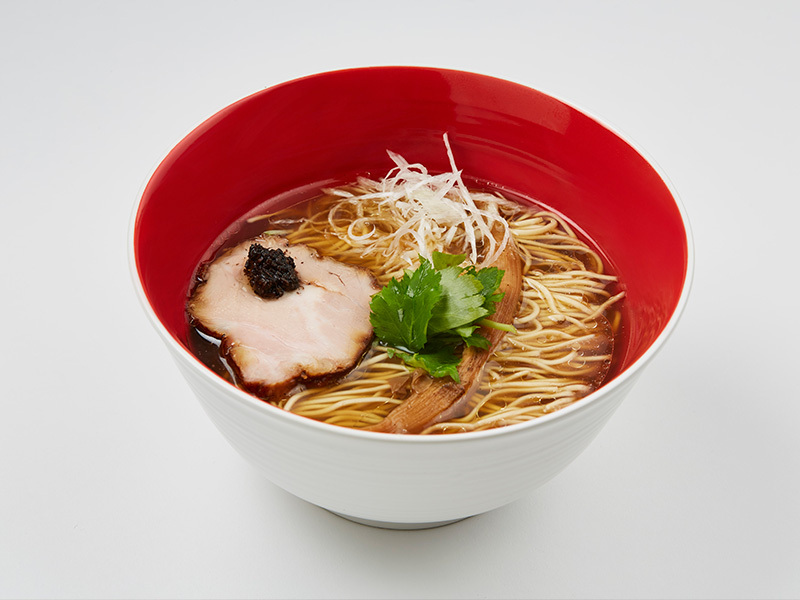 Tsuta’s signature Shoyu Soba is a distinctively original dish. 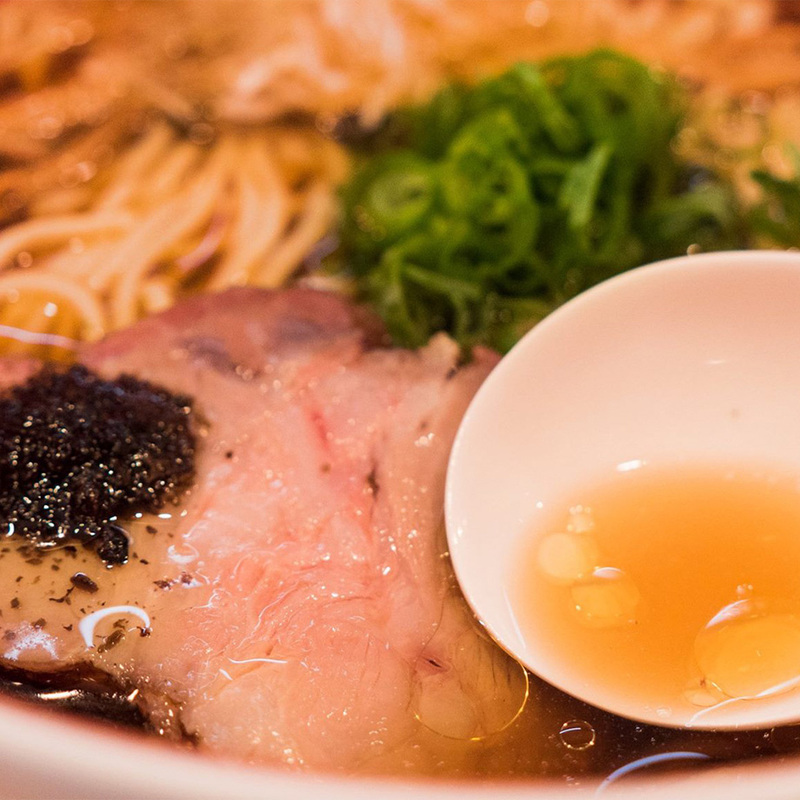 Featuring the restaurant’s signature dashi, it gives a very full-bodied yet delicate taste. Its unique soy base is created from a special blend of shoyu that includes, Chef Yuki Onishi ’s in-house brew, a custom-brewed shoyu from Wakayama Prefecture and a curated white shoyu sauce. It elegantly blends in with the dashi and the dish is finished off with a piquant black truffle sauce, leaving a multi-layered experience for the palate. Perfect, if you’re looking for something out of the ordinary. 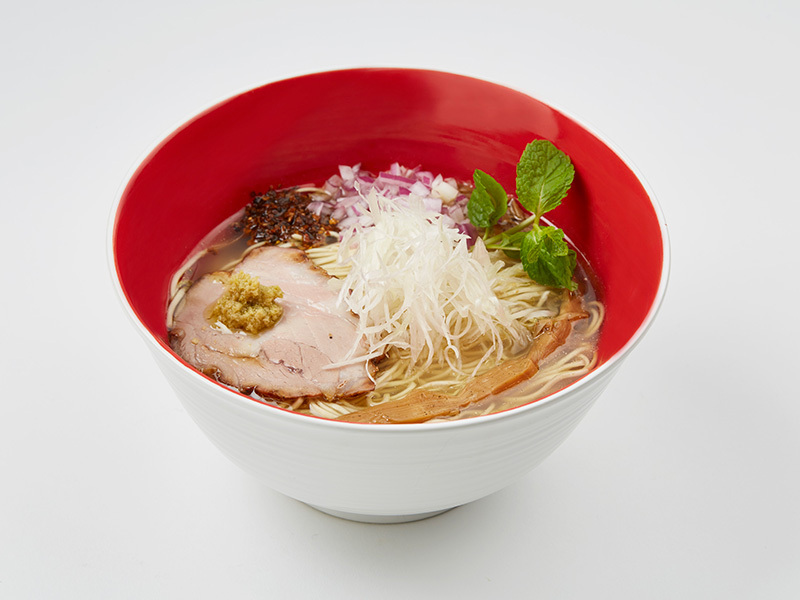 Our Shio soba is a harmonious brew of poultry and seafood. The dashi blends into a light but flavourful sauce of Okinawa sea salt and Mongolian rock salt, Asari clams and fragrant white truffle oil. The crisp touch of spearmint gives a light, refreshing twist for the otherwise, savoury seafood powerhouse. 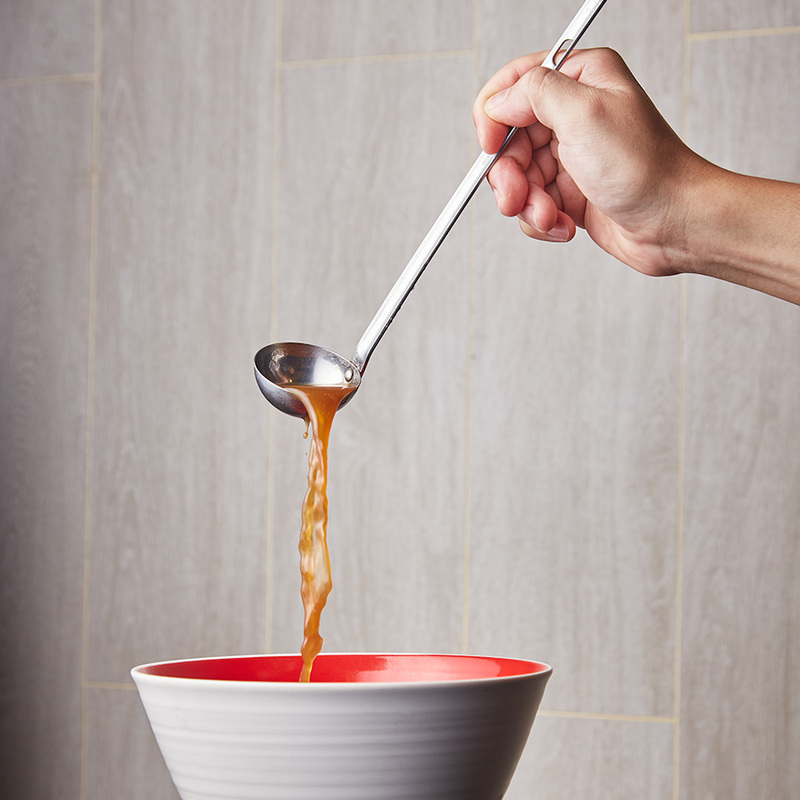 Calibrated for stronger palates, tasting our Miso Soba is a gratifying experience. Formulated with Mame miso from Tokushima Prefecture, the broth boasts of a savoury, earthy, rich and buttery flavour. 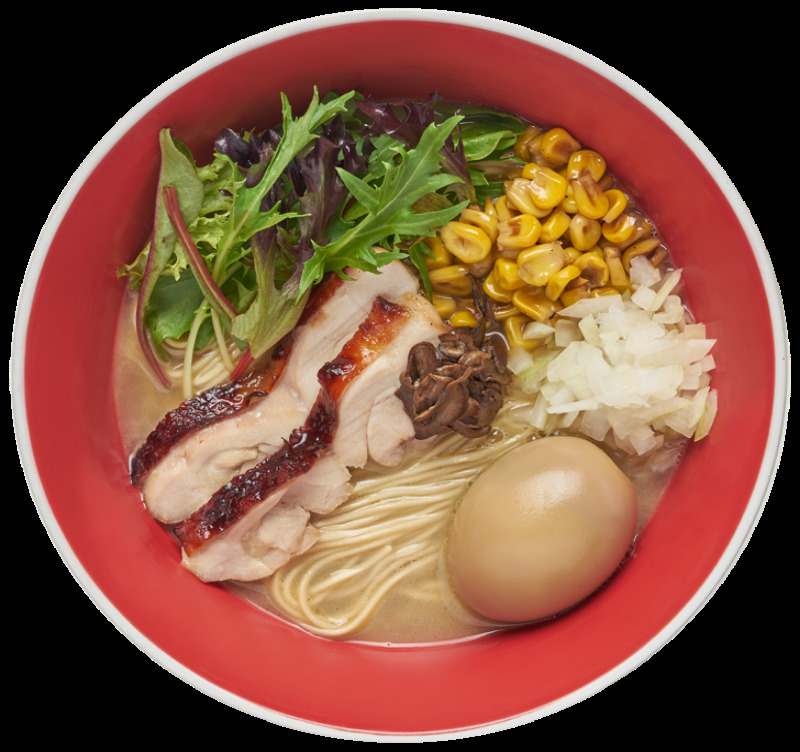 It is complemented with thicker noodles and accompanied by porcini mushroom oil, bean sprouts, watercress and panfried corn further accentuate a strong miso taste. Concluding the dish is an unusual dash of hot sauce for a subtle but lingering spicy note. 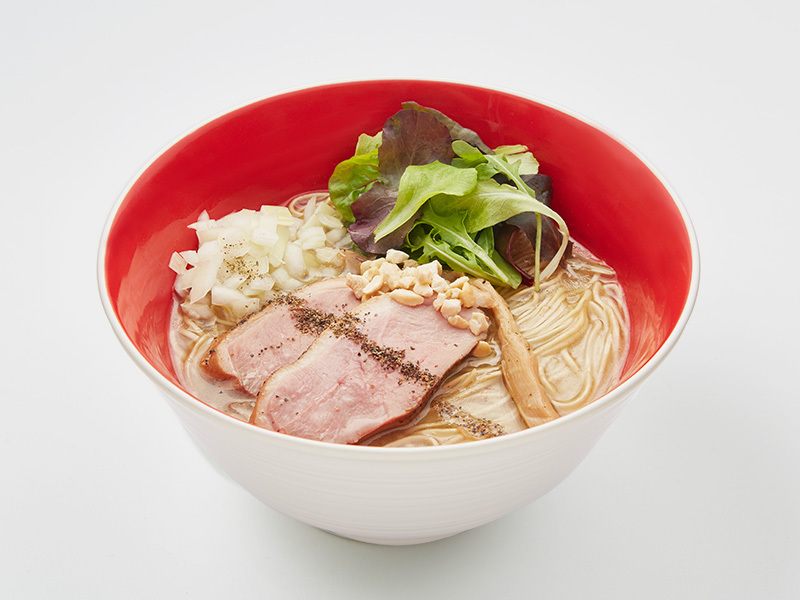 Inspired by the Singaporean palate, Chef Yuki Onishi introduces the Kamo Paitan Soba. The soup features a rich, creamy duck broth that’s been slow cooked for five hours. 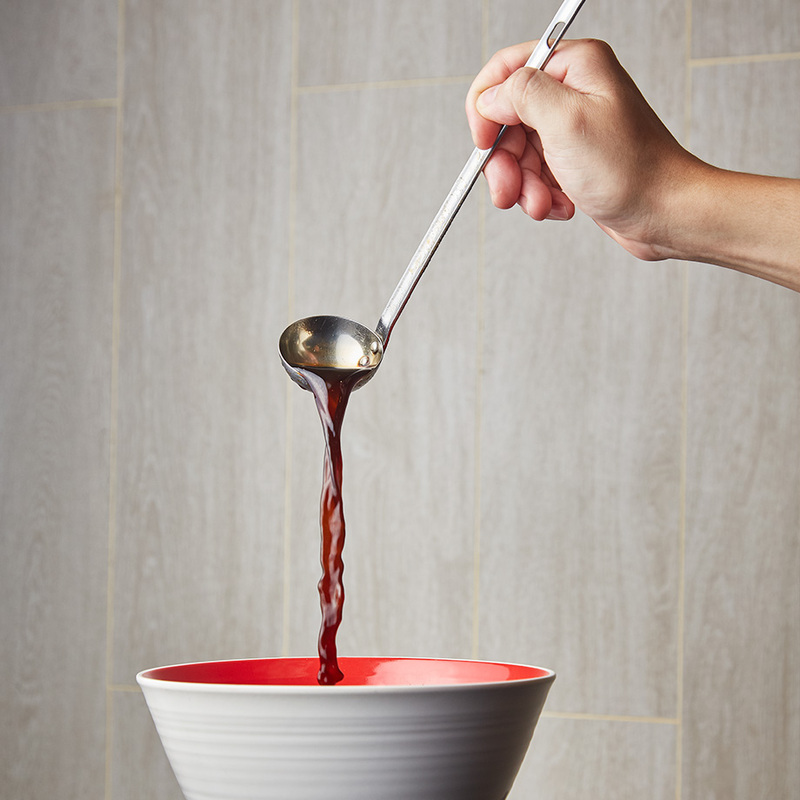 Complementing the soup is our Kamo Char Siu, duck breast braised in Shoyu sauce at low temperature for a soft, tender bite. An assortment of baby leaves, crushed roasted cashew nuts and diced yellow onions are added to give contrast, leaving you satisfied but not overwhelmed. 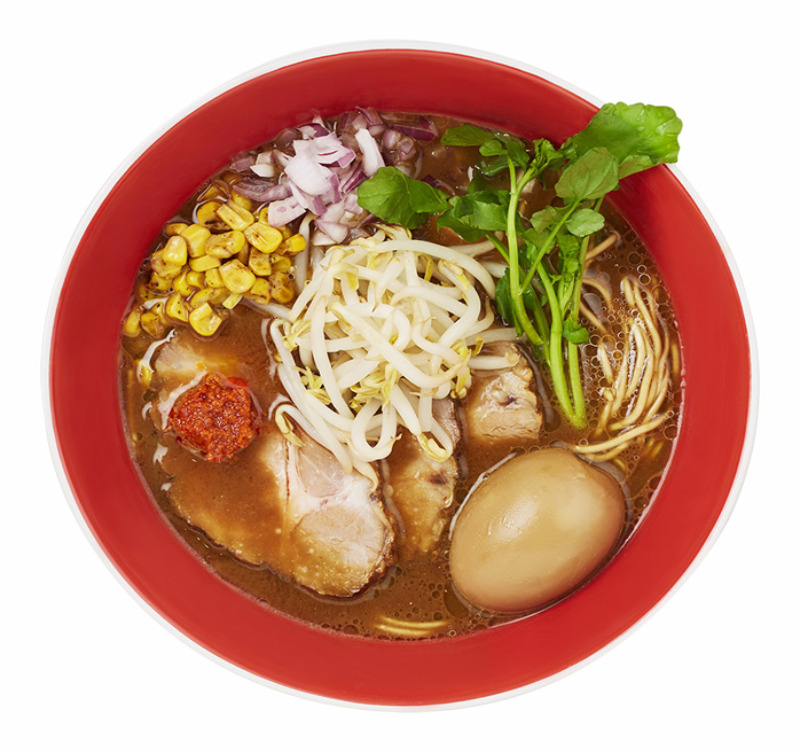 A sister to the Kamo Paitan Soba, the Kamo Abura Soba is a unique dry ramen. 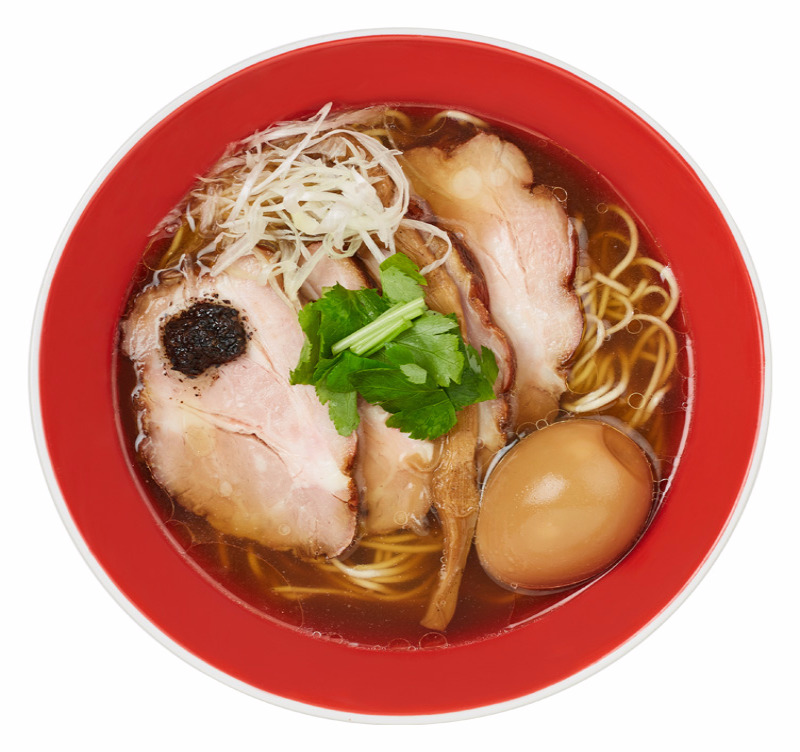 A marinade of Usukuchi shoyu and duck oil is created from scratch to flavour al-dente noodles. 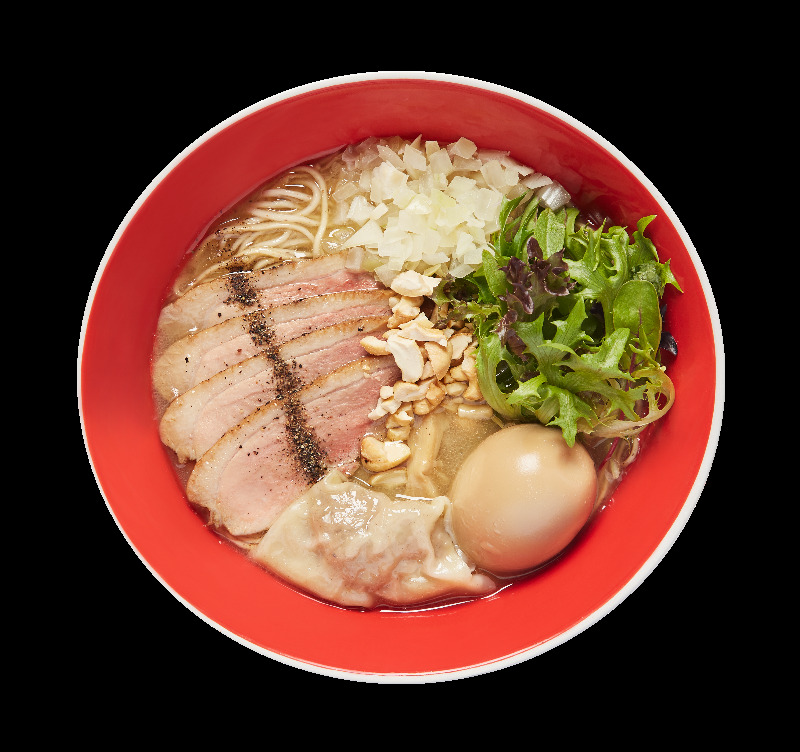 The dish is accompanied by chicken stock infused with a tinge of Shio sauce to offset the strong umami taste, for a perfectly balanced experience. This dish is truly one of it’s kind. Inspired by one of the most popular ingredients in Asia; Chicken. The dashi which comprises of chicken bones and feet is diligently boiled for five hours to extract a deep and rich collagen flavor. 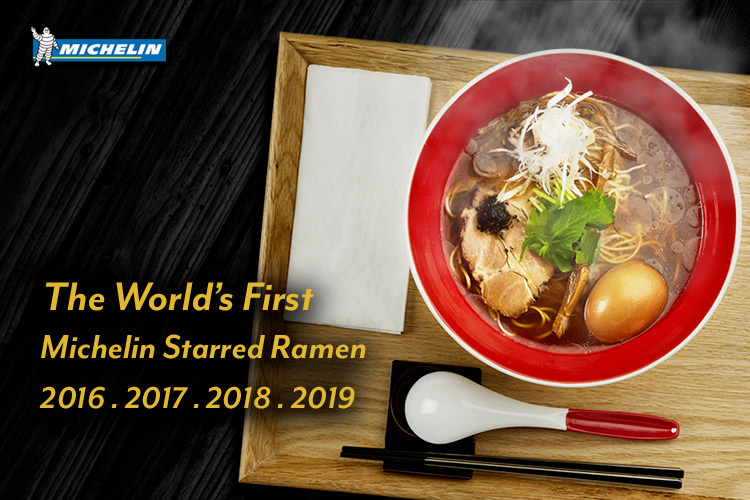 Complemented with Chef Yuki Onishi's special Shoyu tare to create a creamy, hearty concoction that encompasses a savoury and rich chicken taste. The essence of the dish is further amplified with our roasted teriyaki chicken. Generous slices of chicken thigh are soaked for hours in an elegant Tamari Shoyu and white wine marinate and roasted to a glazed golden brown. It is garnished over a serving of sweet corn, button mushrooms and baby leaves. 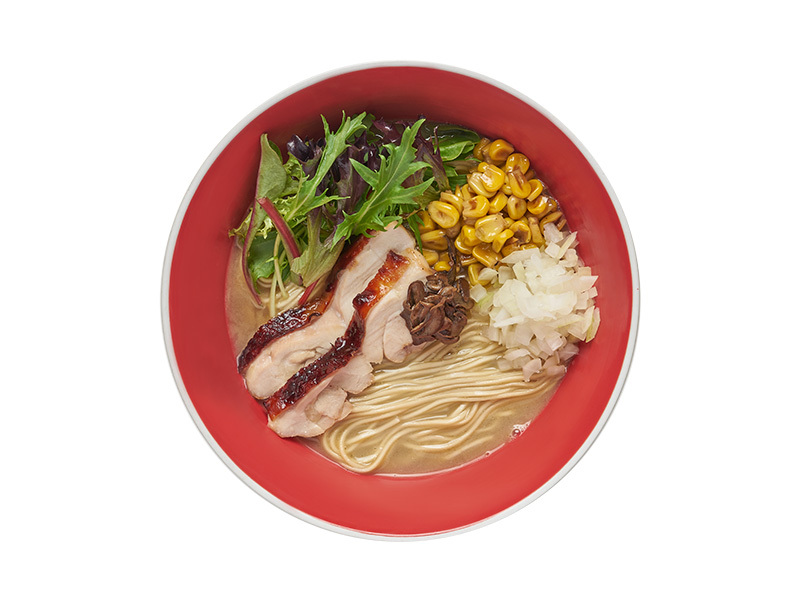 Packed for a punch, our Teriyaki Chicken Spicy Soba comes in the same flavourful chicken dashi and a fragrant chili oil. Made with an inhouse recipe, the fragrant oil features a mix of chili padi,salad oil and leek. Served with roasted Teriyaki chicken that's been soaked in an elegant marinate of Tamari Shoyu and wine. The strong flavours of the dish meld together for a satisfying spicy kick that strikes you at the back of your tongue; without overwhelming the palate. With premium ingredients come exceptional flavour. 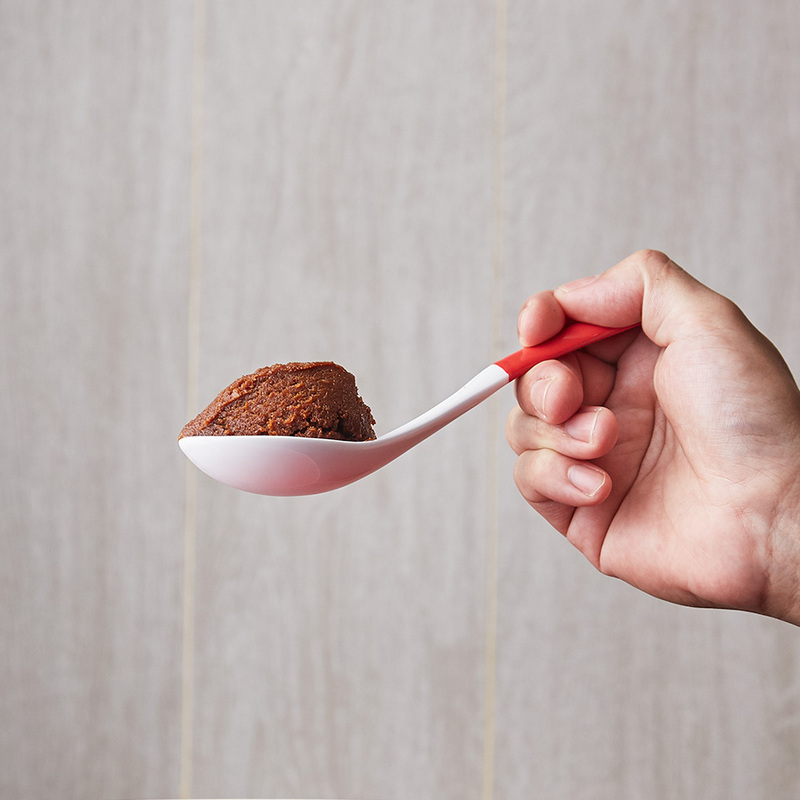 Ever the idealist, Chef Yuki Onishi rejects the idea of additives or artificial flavouring, preferring to derive the strong umami taste everyone loves from natural sources. He is always on a hunt for ingredients from all over the world, to bring his dishes to life. 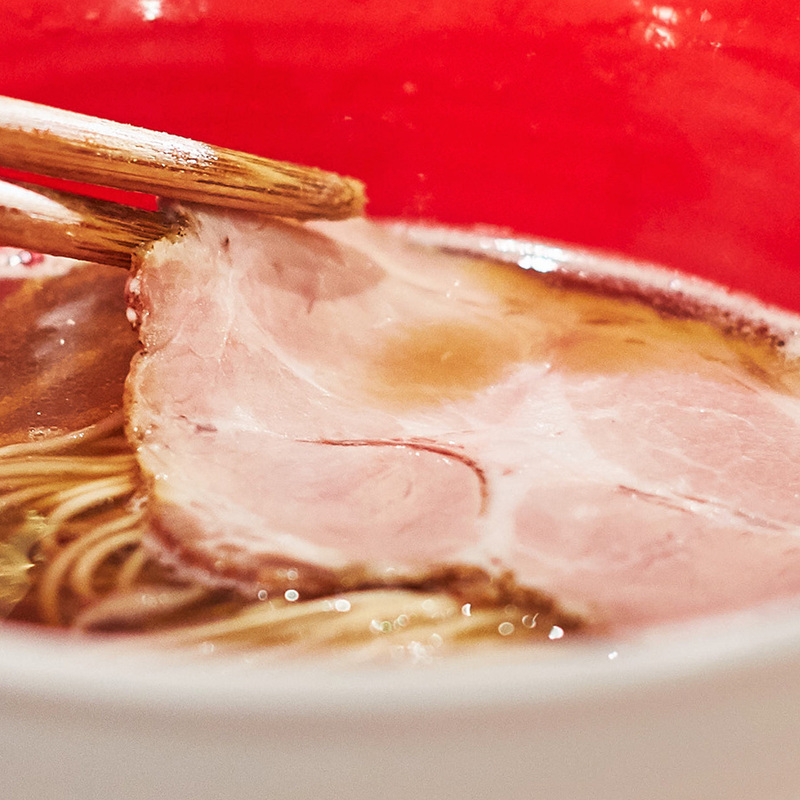 Tsuta’s signature dashi is the heart of every bowl of Tsuta soba. 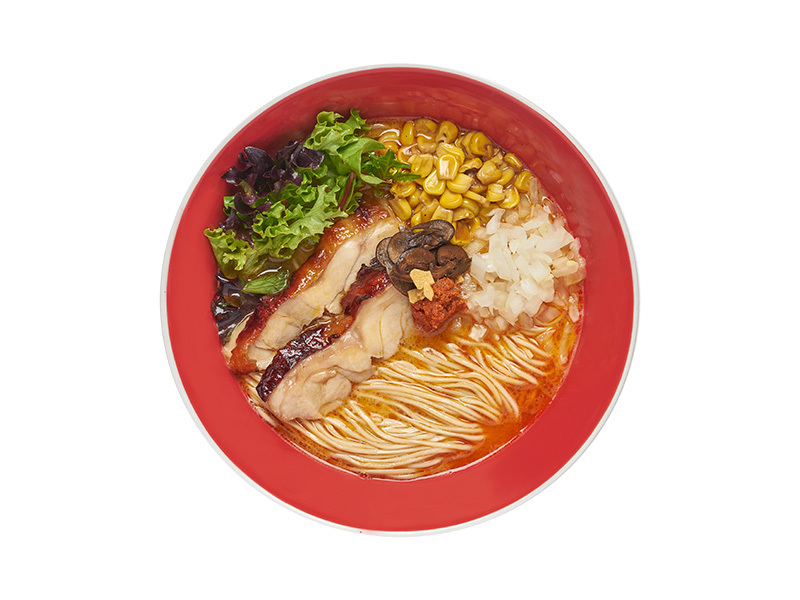 Three separate broths of chicken, clam and Japanese fish are simmered under strict temperature control, with no artificial flavouring or MSG. 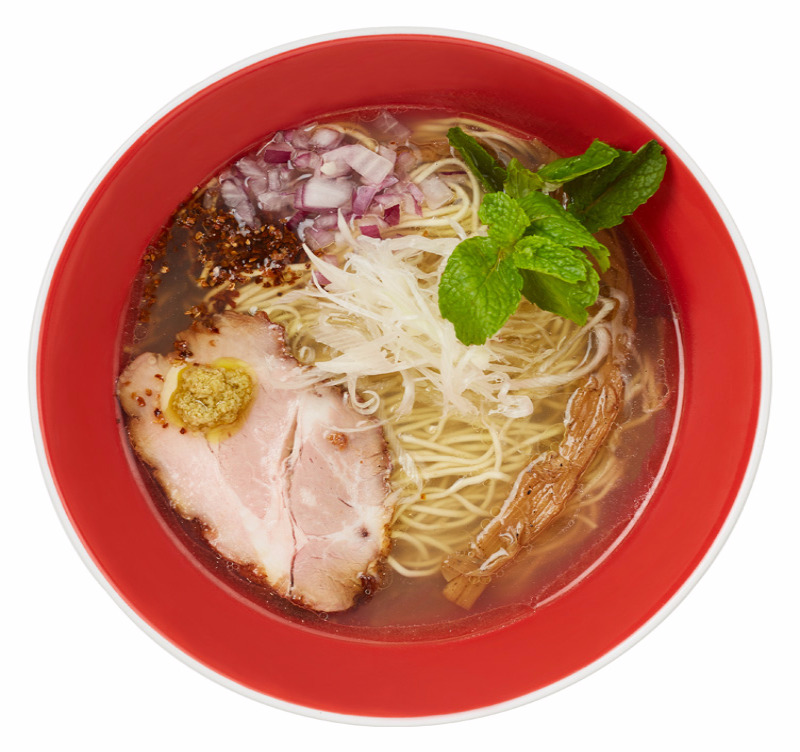 This brings out the maximal potential of each ingredient, creating full-bodied, flavourful soups of pure umami. All three stocks come together delightfully in a carefully calculated ratio, to create a fragrant, well-balanced broth of robust harmonious notes. Freshly made from his stone-milled whole-wheat recipe on-site, Chef Yuki Onishi blends four types of specially selected wheat and whole grain flours to achieve a firm bite and the perfect texture. 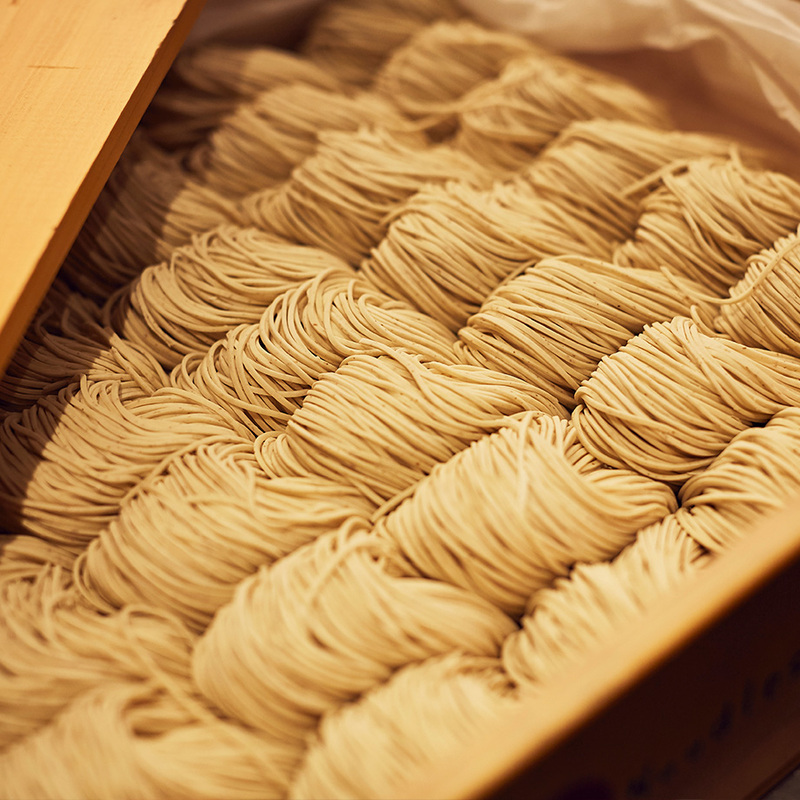 To ensure consistent quality, Tsuta’s noodle recipe took years for Chef Yuki Onishi to refine. 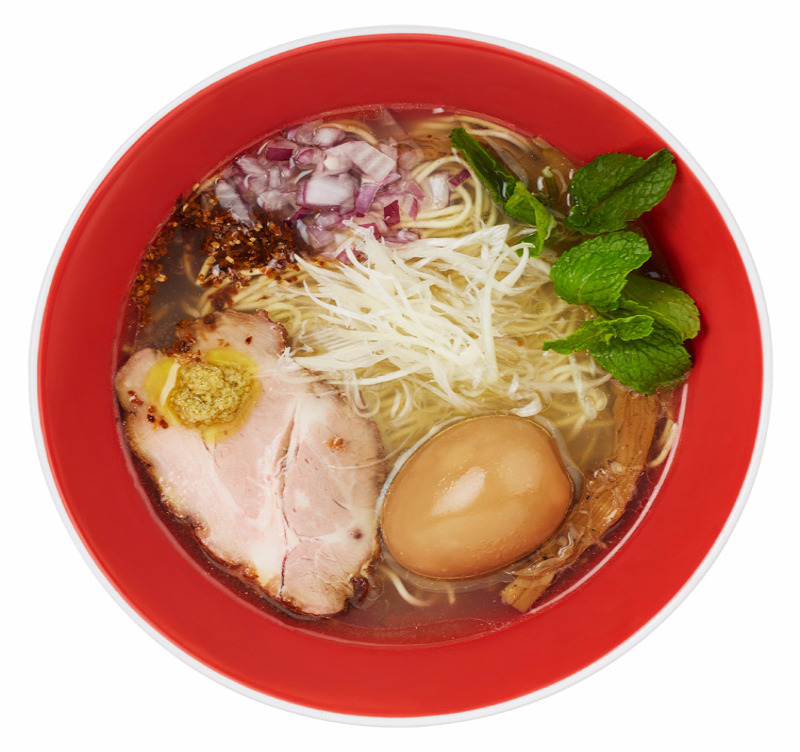 Depending on the broth, our noodles perform differently to complement each flavour. 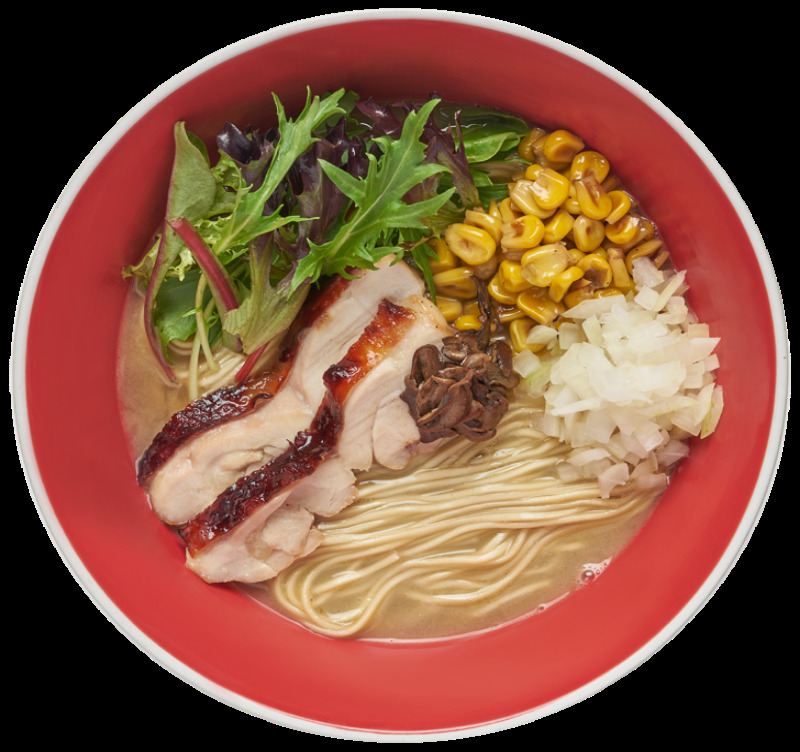 Our Shoyu noodles are thinner to give an elegant composition to the dish, whereas our Miso noodles are made thicker to pair with a heavier soup base. The smallest details do matter. Tsuta’s signature Shoyu base is one of a kind. It’s a special blend of a bespoke shoyu from Wakayama Prefecture, a custom-brewed shoyu; made to Chef Yuki Onishi’s specifications with whole, two-year old matured soybeans and other specially curated Shoyu flavours. This unique concoction works spectacularly with Tsuta’s dashi (broth) to create an all-time favourite – Our Signature Shoyu Soba. Okinawa sea salt is harvested traditionally from the blue waters of Okinawa. Besides having the highest mineral content, it lacks the hard taste of other sea salts. Instead, it has a mild taste that complements food without being overpowering. Together with Mongolian rock salt, these two premium salts create Chef Yuki Onishi’s refreshing, umami rich Shio sauce. Our rich and robust miso sauce is a blend of Mame Miso from Tokushima Prefecture. 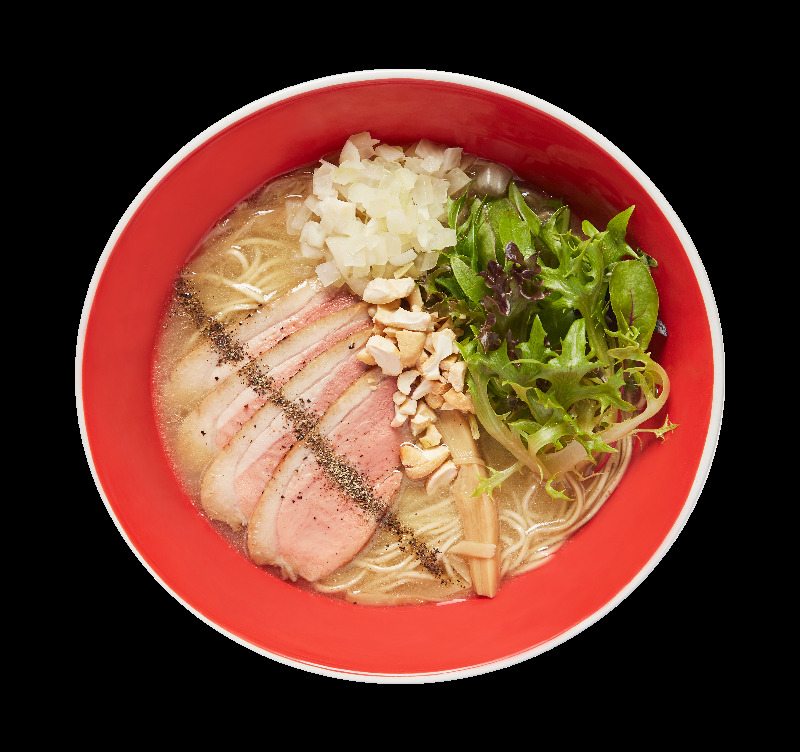 This red miso variant is traditionally made from 100% fermented soybeans. Its creation dates all the way back to the Edo era. This much-loved sauce is less sweet and embodies a bold, intense flavour comparable to none. 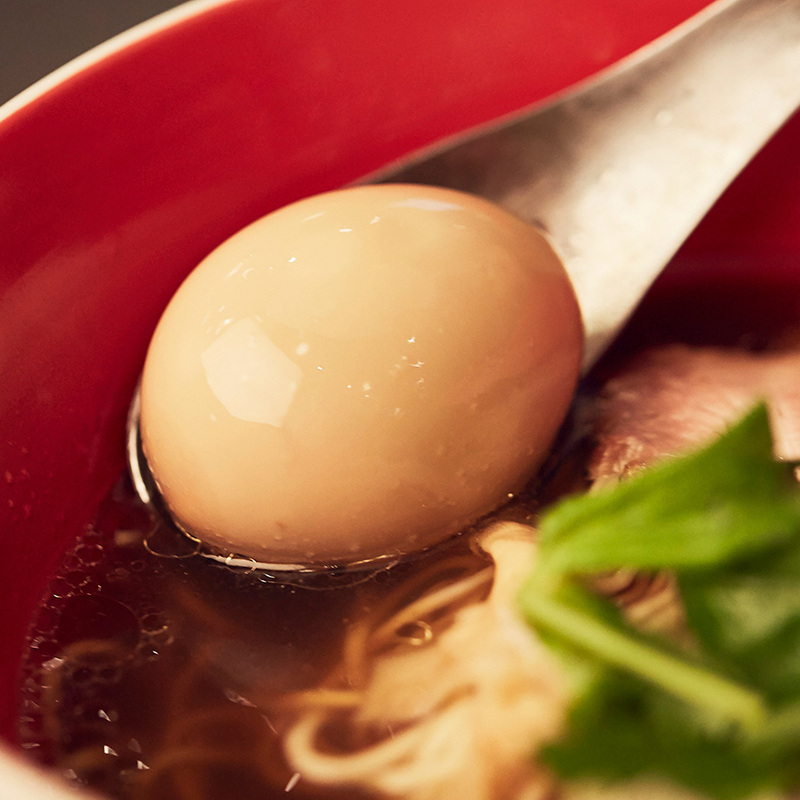 Nothing completes a bowl of ramen quite like an Ajitama ("egg"). Our eggs are locally sourced to ensure ultimate freshness. It is cooked under a strict procedure to ensure a beautiful runny yolk. Then, the eggs are marinated in a propreitory Japanese Shoyu to retain the saltiness and develop a slight touch of sweetness. 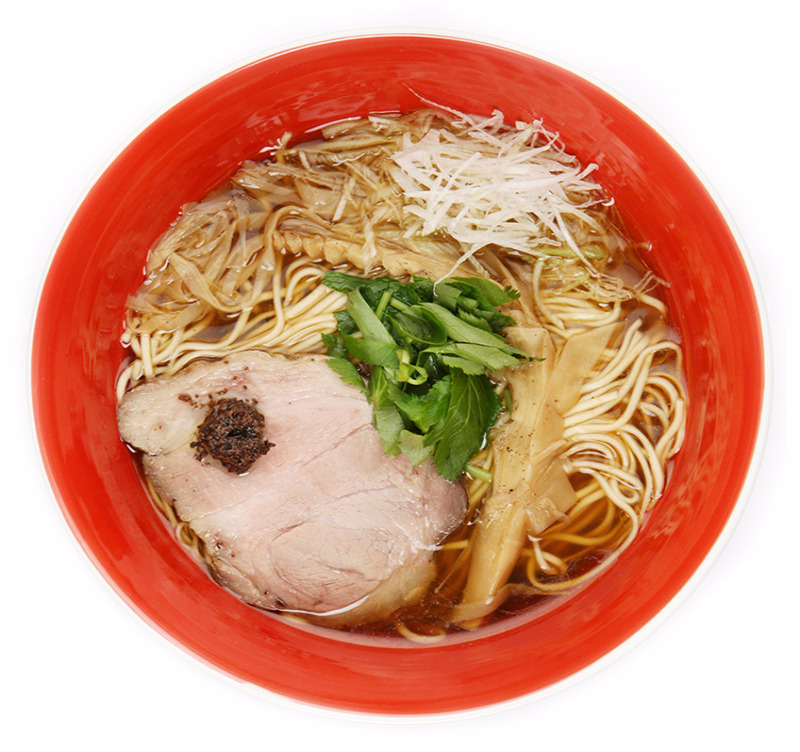 We accompany our ramen with Hosaki menma. Unlike regular bamboo shoots, the Hosaki menma is harvested from a specific part of the bamboo head which boasts of a softer texture. Chef Onishi Yuki cooks the bamboo shoots in a blend of chicken stock, Japanese shoyu, rice wine and a splash of red wine. The result is an aromatic, preserved accompaniment with a light, refreshing taste. At Tsuta, we use imported Canadian pork shoulder. This part of the pig is incredibly marbled, offering the most tender of bites. It is marinated with Mongolian rock salt, pepper overnight and oven roasted before soaked in our special Japanese Shoyu for great flavour. 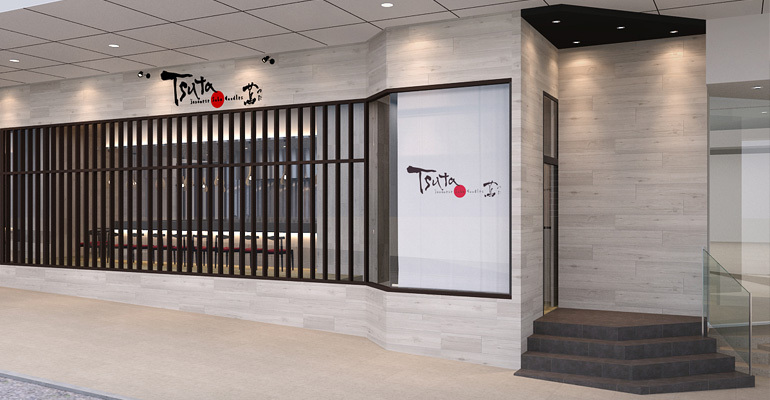 Japanese Soba Noodles Tsuta,first overseas shop to be open on 6 November 2016 in Singapore. 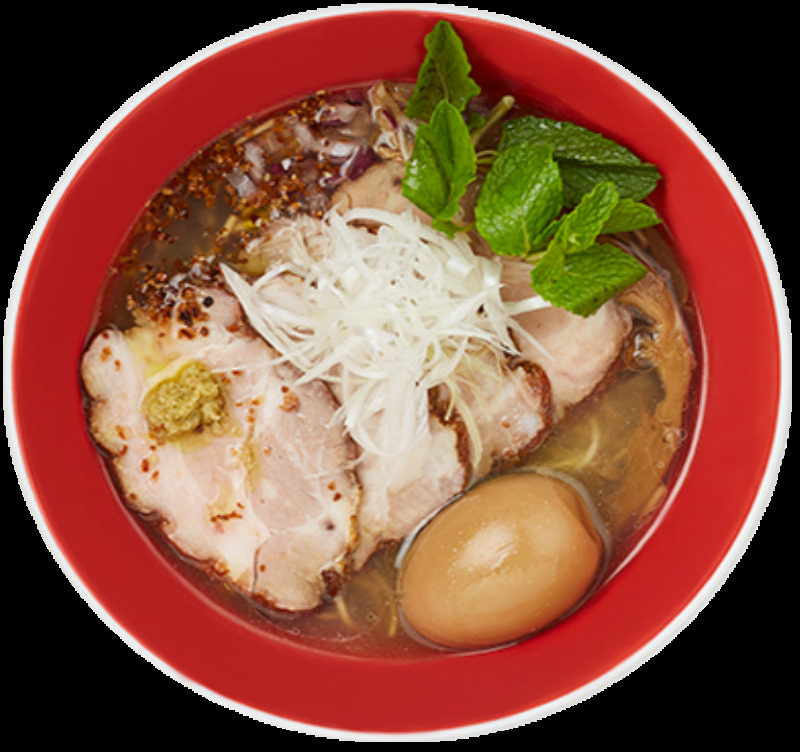 Come savor the taste of “Tsuta” the world’s first Michelin starred ramen outside of Japan. 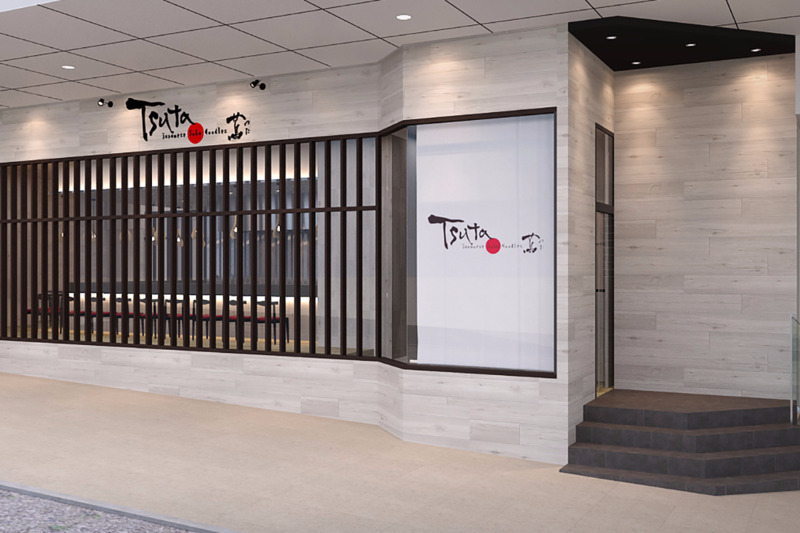 Japanese Soba Noodles Tsuta, 2nd Overseas Shop opening in Singapore @ Tai Seng on 23 February 2017. 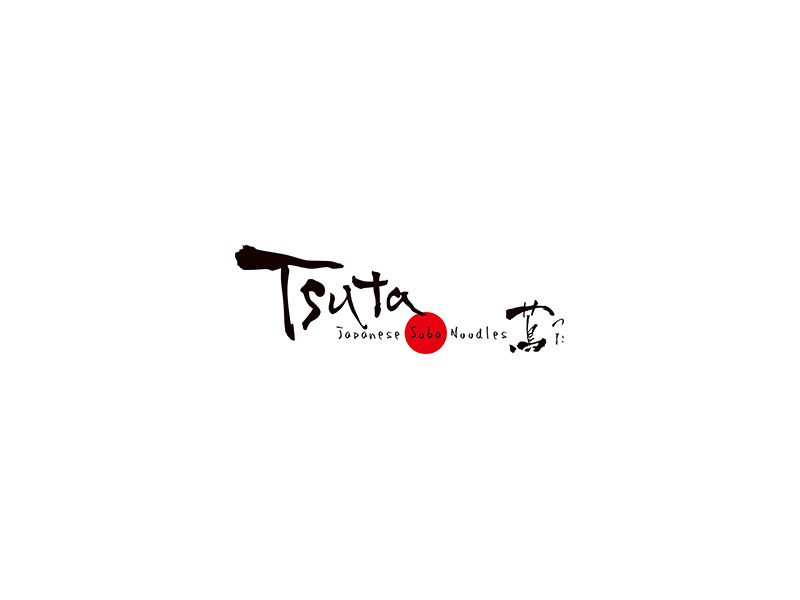 © Japanese Soba Noodle Tsuta.